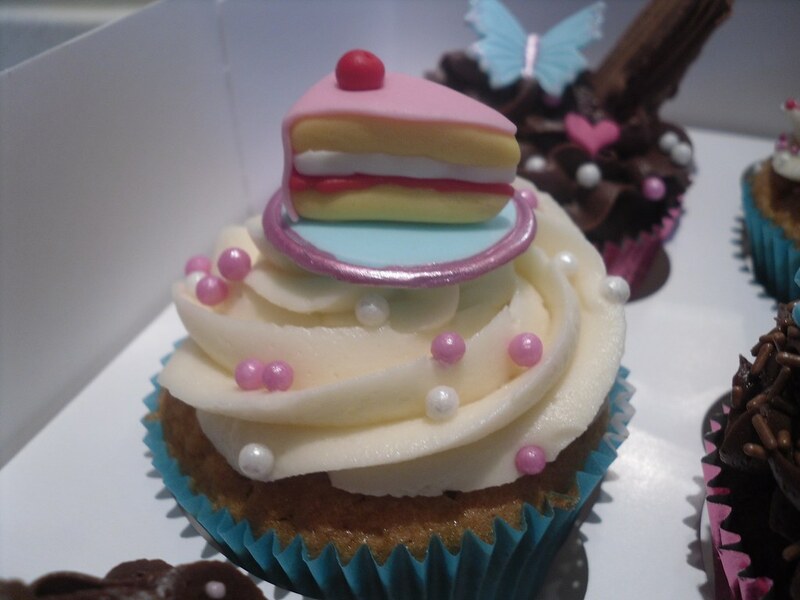 Would you like a slice of cake on top of your cupcake? 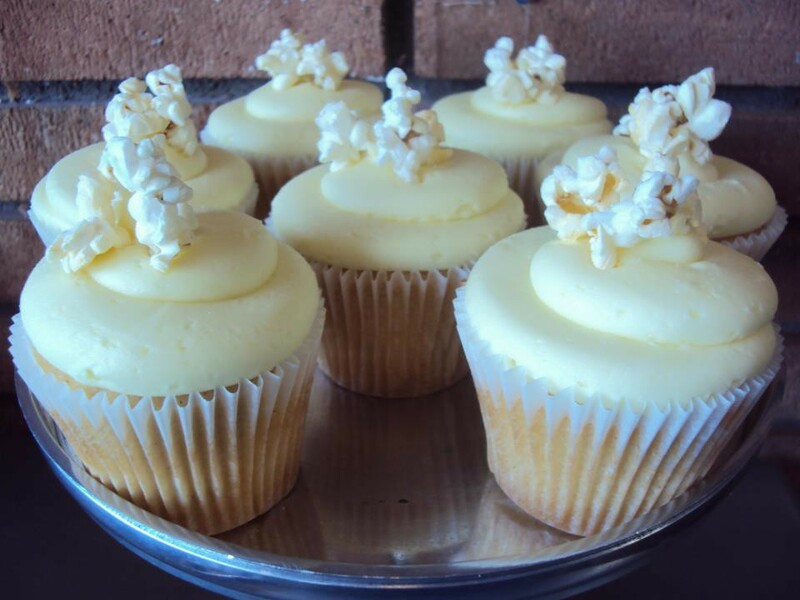 That's what Dotty Cupcakes in Cardiff, UK, is serving up! 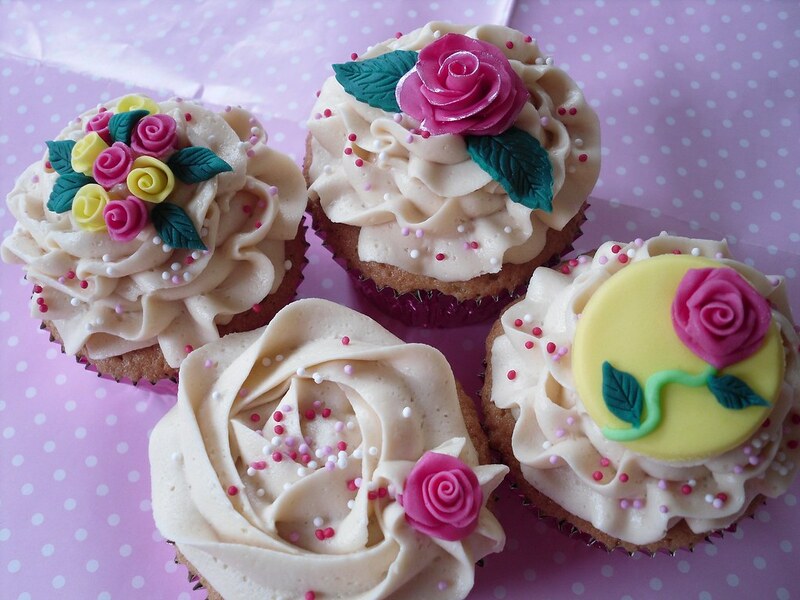 They've also made these beautiful rose cupcakes. 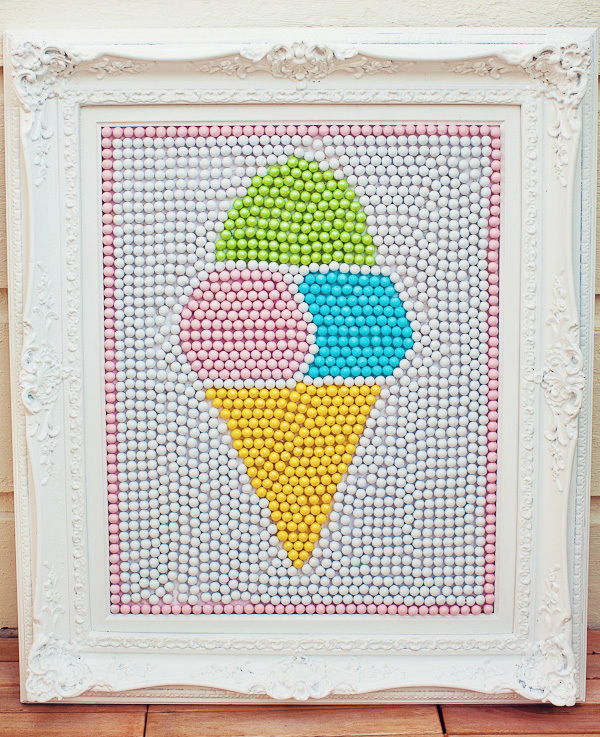 Via Flickr. 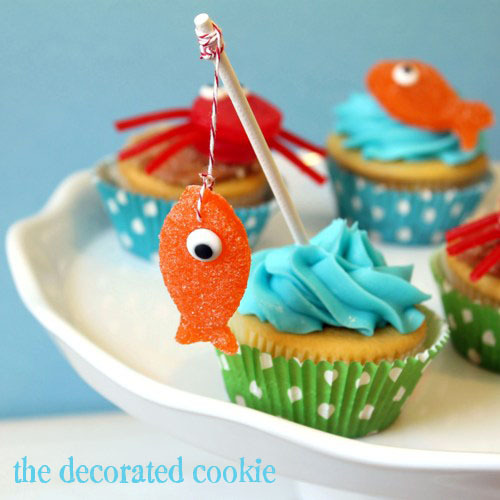 Find out more at dottycupcakes.co.uk or their Facebook page. This day has been in the works for a looong time. I've driven through Las Vegas so many times, but fate never allowed me to partake....that is, until last month. 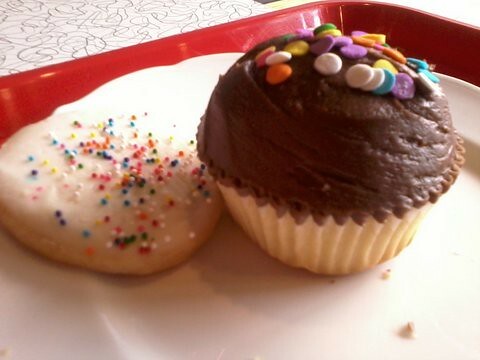 The stars finally aligned and The Cupcake Activist made it to famous Retro Bakery! 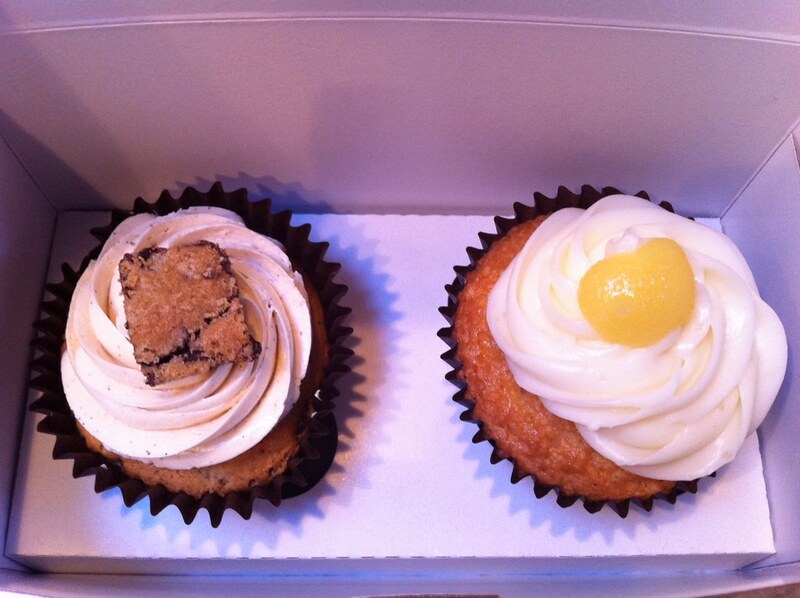 I met the super-sweet Kari, owner of Retro Bakery, and ate some of the best cupcakes ever....ooops! Did I spoil the surprise already? 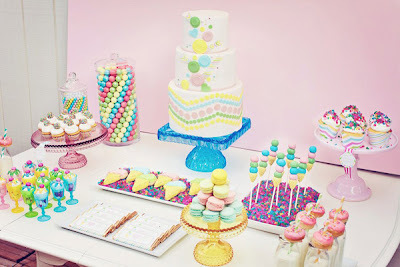 I'm sure most of you have already heard about the amazingness of Retro Bakery, but read on anyway (you can also read my review here). I first met Kim Ima, the owner of The Treats Truck over five years ago when she first started driving Sugar, her dessert truck. 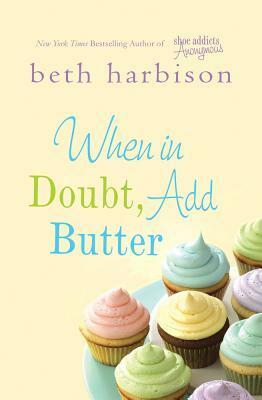 She is one of the early pioneers in the local New York food truck movement. 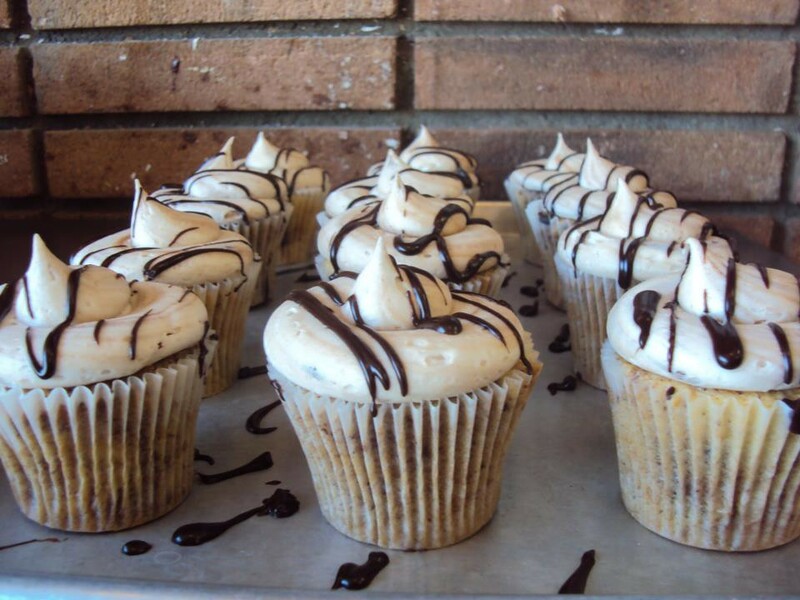 Last fall, The Treats Truck Baking Book was published and less than a month ago, her first storefront, The Treats Truck Stop (521 Court Street) opened in Brooklyn. 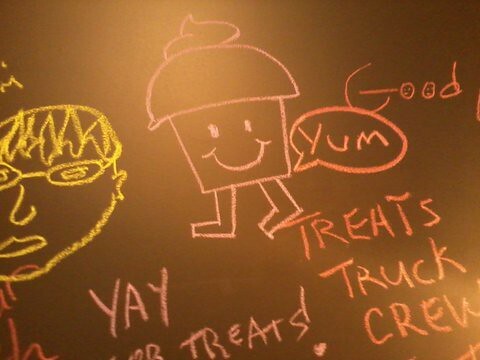 I stopped by the new place last weekend and I sampled many treats. There are brownies, blondies, cookies, cupcakes, rice krispie treats and more! 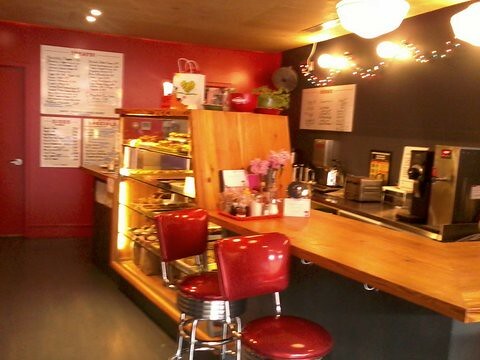 I loved the red vinyl chairs! 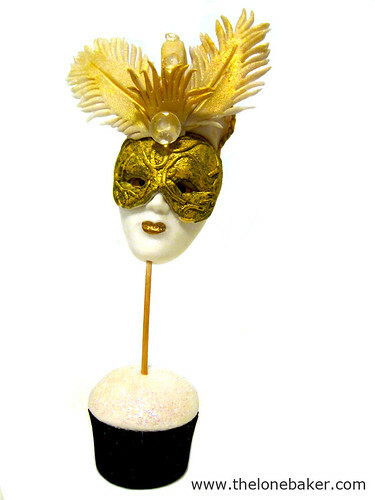 Please give a giant cupcake round of applause to blogger The Lone Baker - I am always in awe of her cupcake creations, but these fondant masquerade masks are simply stunning. Wow! 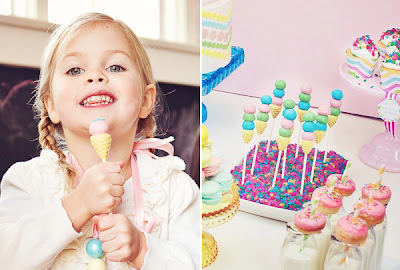 She shows you how to make each one in her post. Via Flickr. 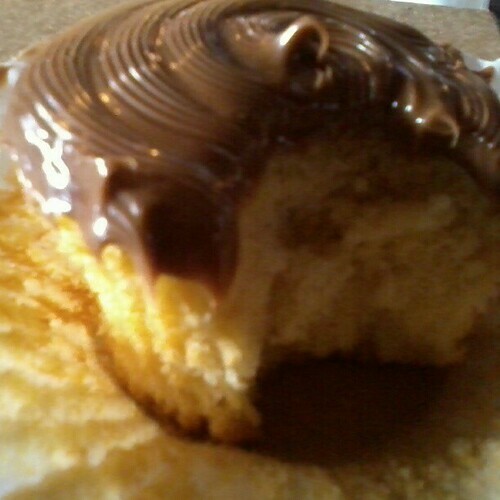 Also visit The Lone Baker on Facebook. 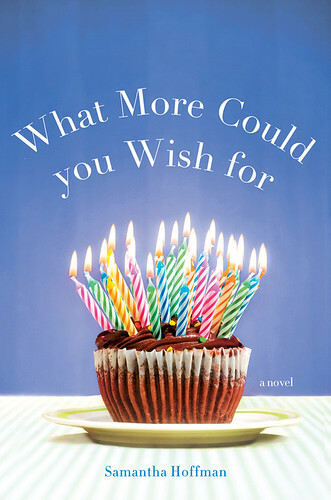 Cupcakes continue to be a draw for novels that aren't necessarily about cupcakes (though I haven't read either of these so I don't know for sure how much, if at all, cupcakes play a role). This is my first pet rat + cupcake post, I guess I wasn't really thinking I'd see that day. 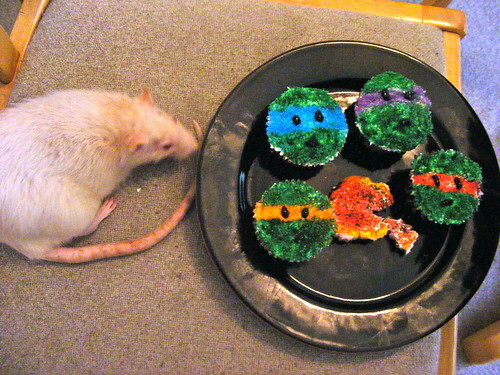 Master Splinter was, I believe, well behaved around the ninja cupcakes. 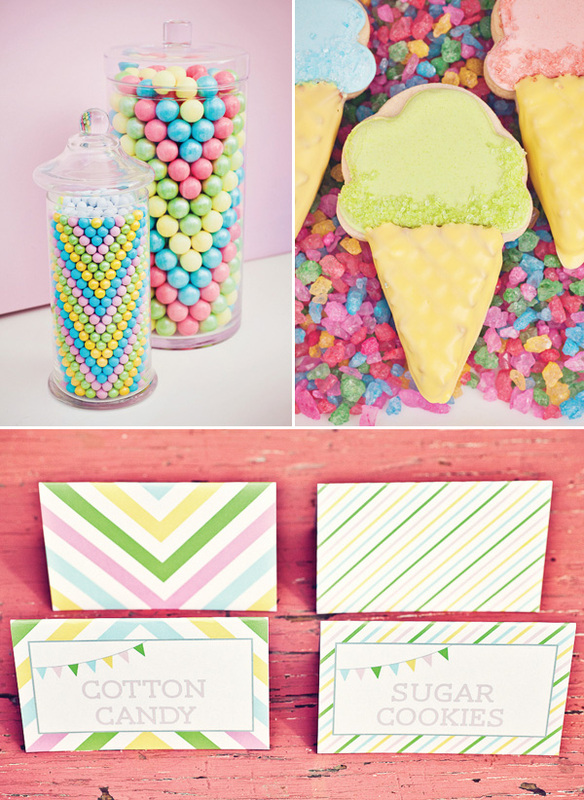 Image courtesy fourpointreport. 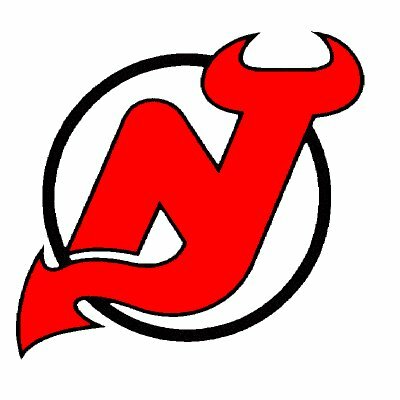 And continuing today's New Jersey theme...cupcake bakery Mr. Cupcakes posted on their Facebook page: "ATTENTION Customers, come into any of the Mr. Cupcakes locations wearing a NJ DEVILS T-Shirt and GET A FREE CUPCAKE!!! *One per customer. Offer valid during Stanley Cup Finals only." Visit mrcupcakes.com for more information. 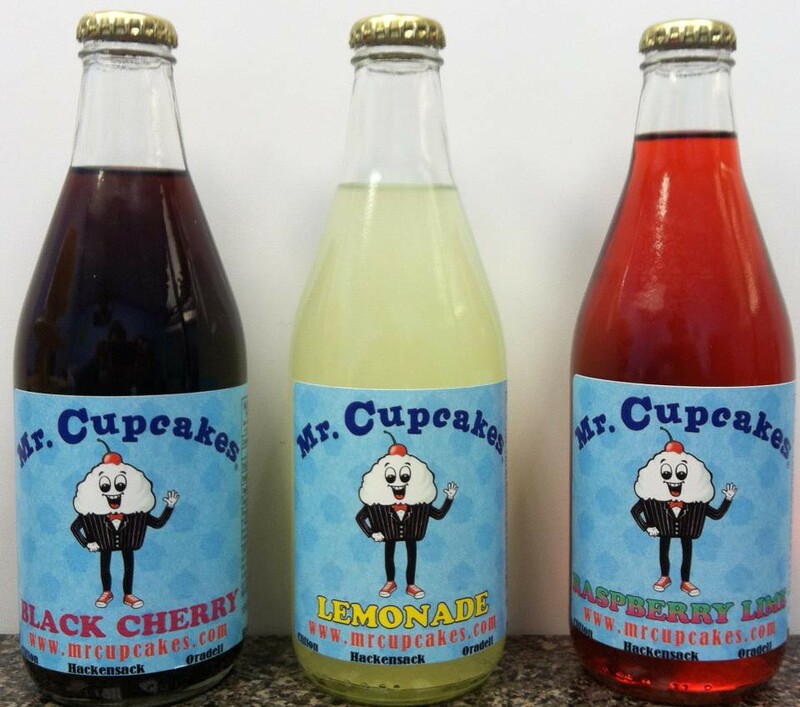 unrelated to hockey, Mr. Cupcakes has its own line of beverages! 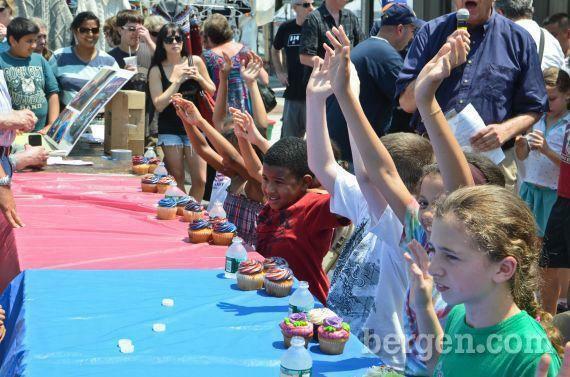 I wish I'd known about this kids' cupcake eating contest held on Monday in my hometown of Teaneck, New Jersey, because I would have attended! 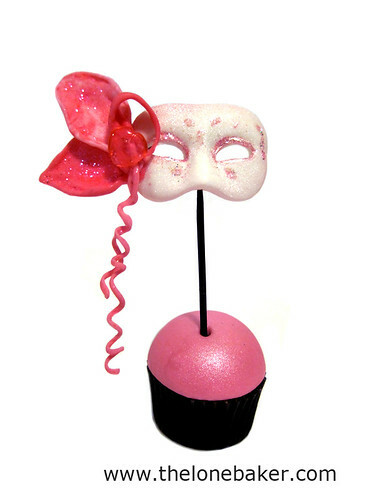 (Please let us know about your cupcake events by emailing cupcakestakethecake at gmail.com with "Calendar" in the subject line.) 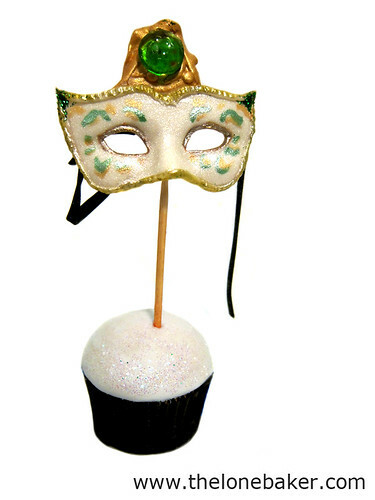 These fun photos are Facebook page of charity cupcake bakery Zoe's Cupcake Cafe, who you can find online at zoescupcakecafe.com. 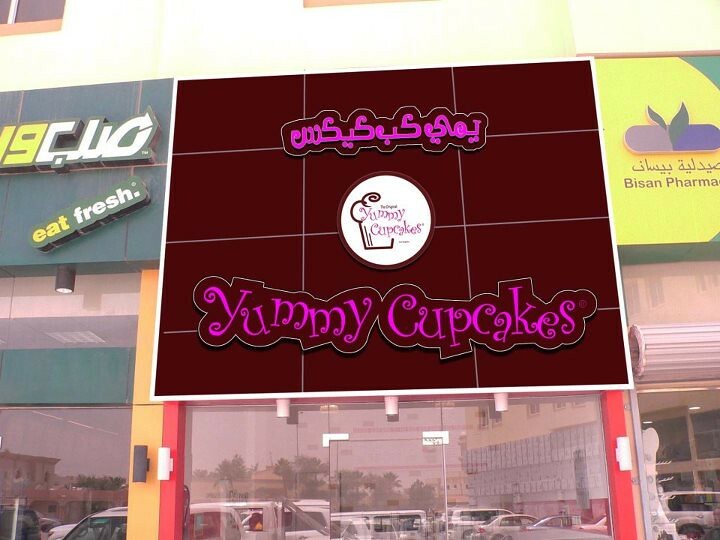 California cupcake bakery Yummy Cupcakes will open a franchise in Doha, Qatar, according to their Facebook page - email franchising at yummycupcakes.com for more information if you're interested.. 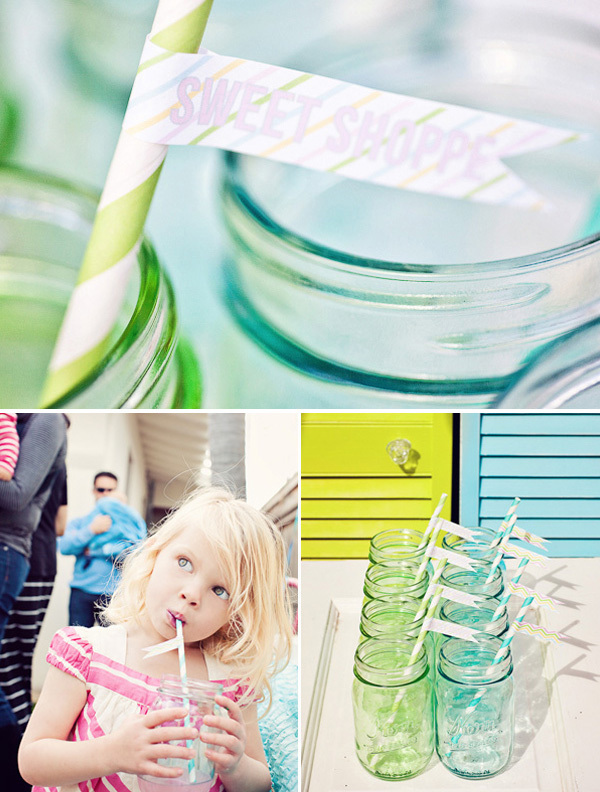 They currently have locations in Burbank, Brentwood and Santa Monica, California. Find out more at yummycupcakes.com; all photos below via Facebook (these cupcakes are from their California stores, just wanted to add some cupcake color to this post). 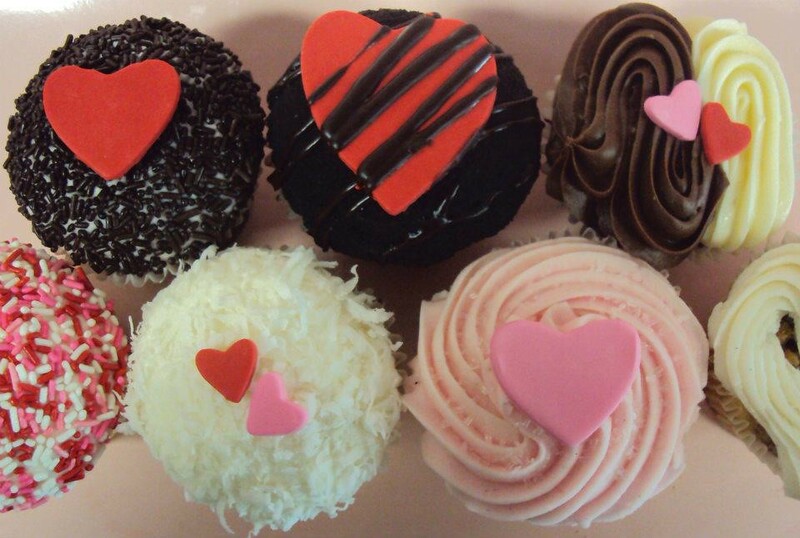 Update: Via @yummycupcakesla on Twitter: "Doha joins Turkey & soon Kuwait, Mexico & more intl locations for us." 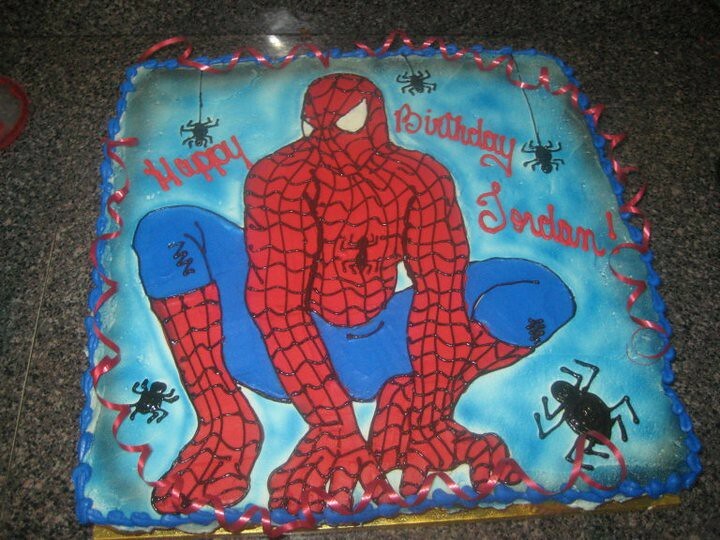 Over the holiday weekend, I attended a surprise birthday party. 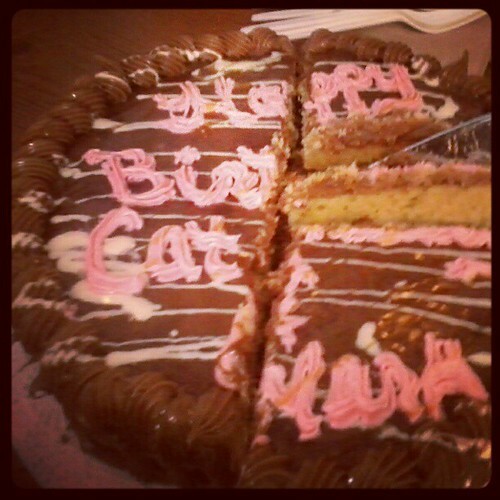 The birthday girl has been wanting a caramel cake, and I have been wondering where I could order one. 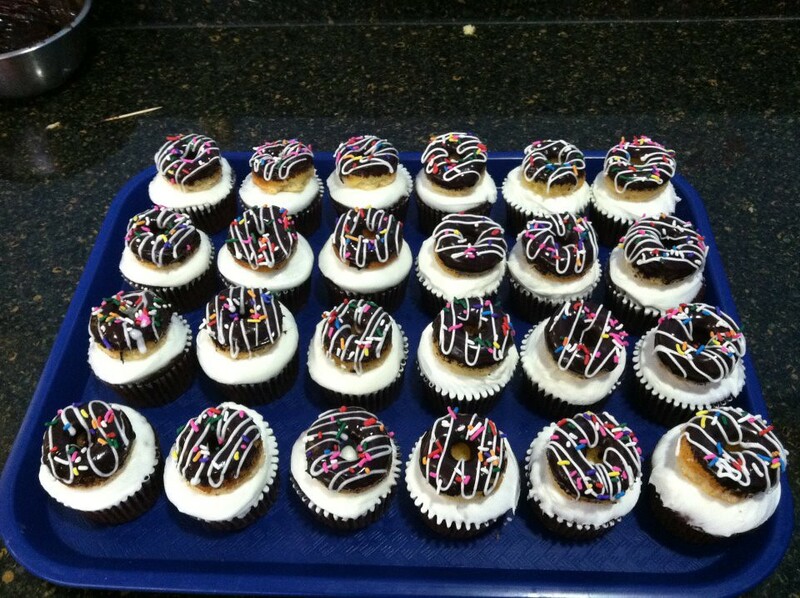 D's Just Desserts, a bakery in Prospect Heights made a delicious caramel cake and cupcakes for the party. 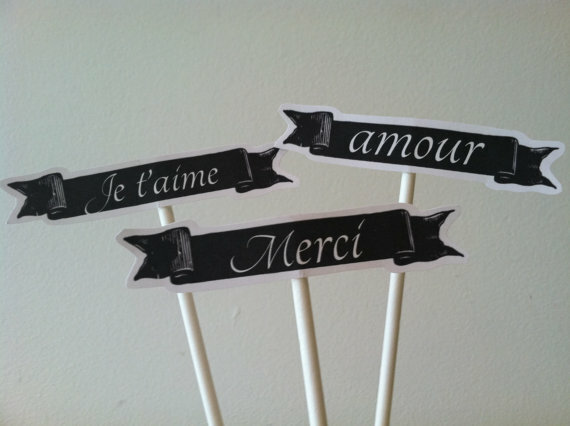 Say it in French with cupcake flags: je t'taime, amour, merci, plus "I do. We did." 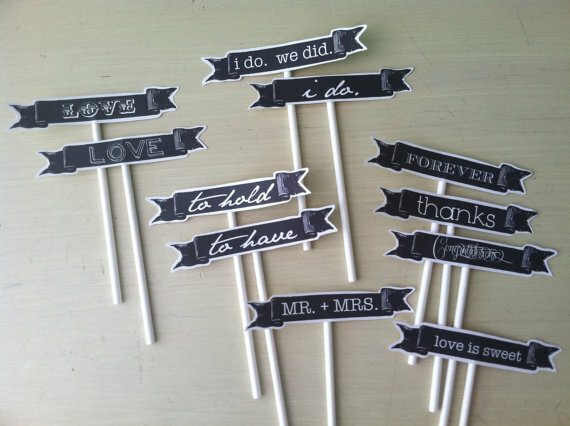 and "to have" and "to hold"
Say it with cupcake toppers in French or English from Etsy seller looploft. 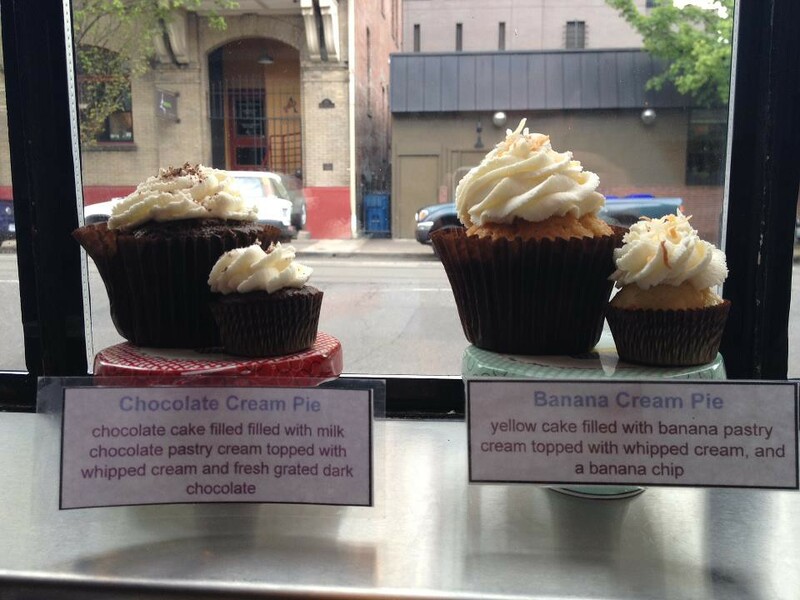 These cupcakes in the window of Portland, Oregon bakery Cupcake Jones look like they're just hanging out, having fun, waiting to be selected and eaten. I love this photo! Via Cupcake Jones on Facebook. You can also keep up with them @cupcakejonespdx on Twitter and find out more at cupcakejones.net. 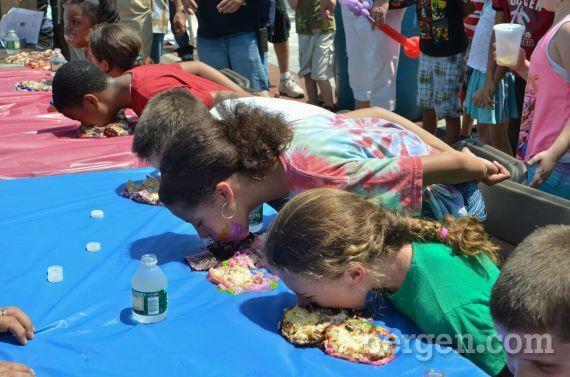 Want a professional photo taken of you DEVOURING a Cupcake Jones cupcake? 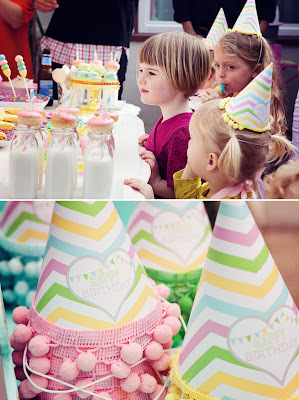 Contact our awesome friend Amy Vining Photography at amyvining at me.com to sign up for an express photo shoot this Friday. 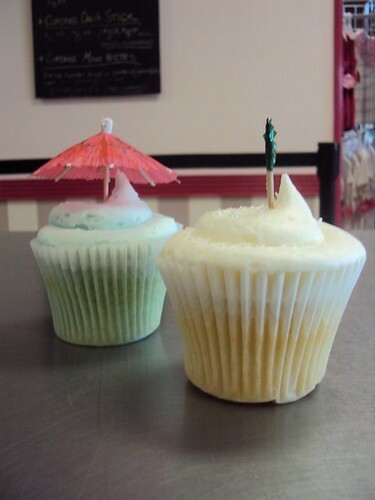 FREE CUPCAKES to do with as you please in the photo....keep it clean folks! 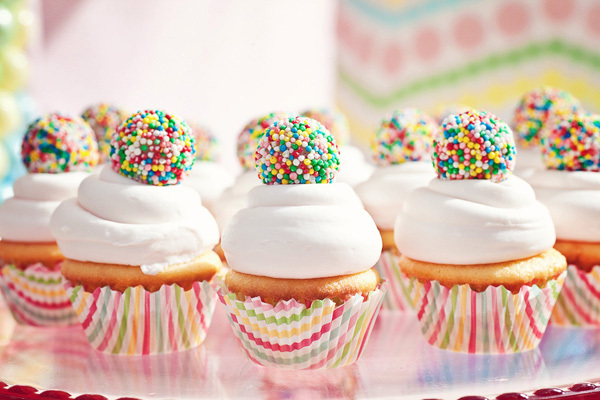 We'll post some of them in the bakery, too! Have fun! And they've just changed their benefit days to benefit months, meaning each month your purchase will benefit a different charity. 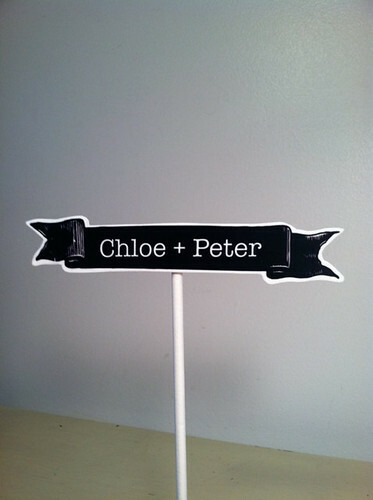 All June purchases, including custom orders, will benefit PHAME Academy. From their website: "PHAME is the Portland region’s fine and performing arts organization serving adults with developmental disabilities. 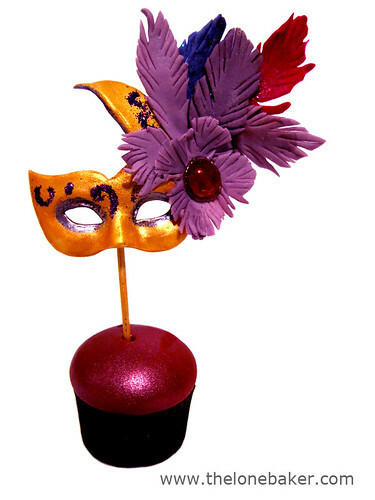 PHAME is an acronym: it stands for Pacific Honored Artists, Musicians and Entertainers. PHAME Academy supports the development of skills and self-esteem in adults with developmental disabilities through education and participation in the fine and performing arts." Mmm, pistachio. Pistachios are one of my favorite things in the world, scratch that. 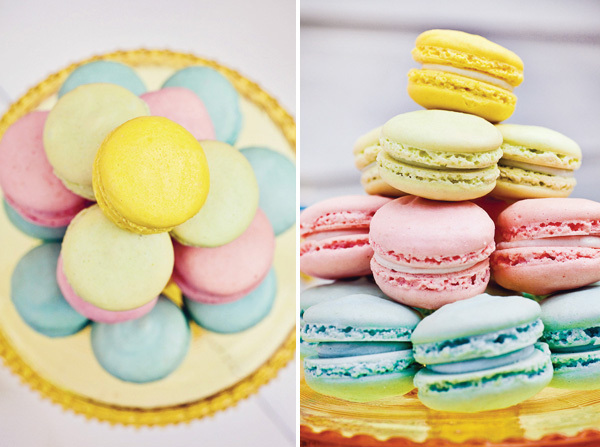 ANYTHING pistachio flavored are my favorite things in the world! 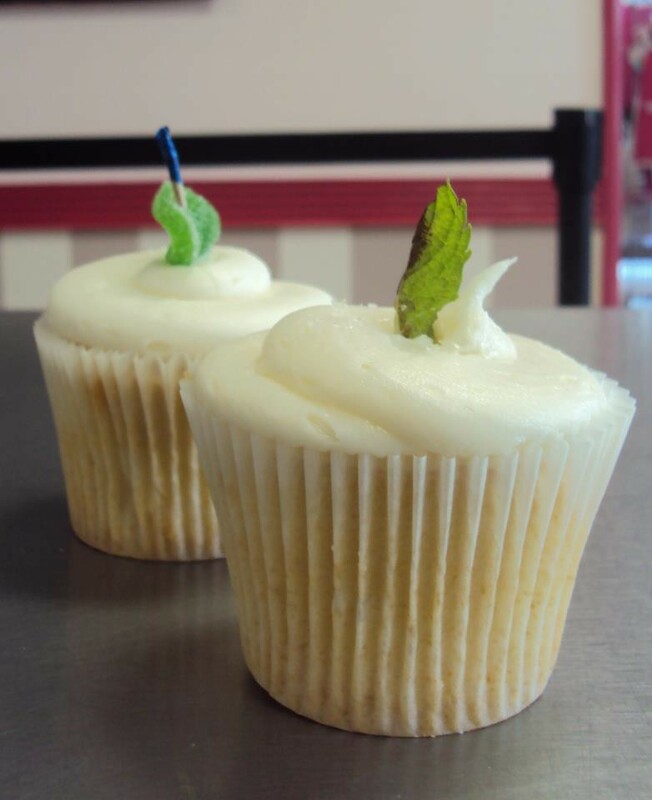 Eat Live Run has created a super easy recipe that will have you enjoying pistachio cupcakes lickety split! The recipe adapts a cake mix and transforms it with the addition of two boxes of instant pistachio pudding! 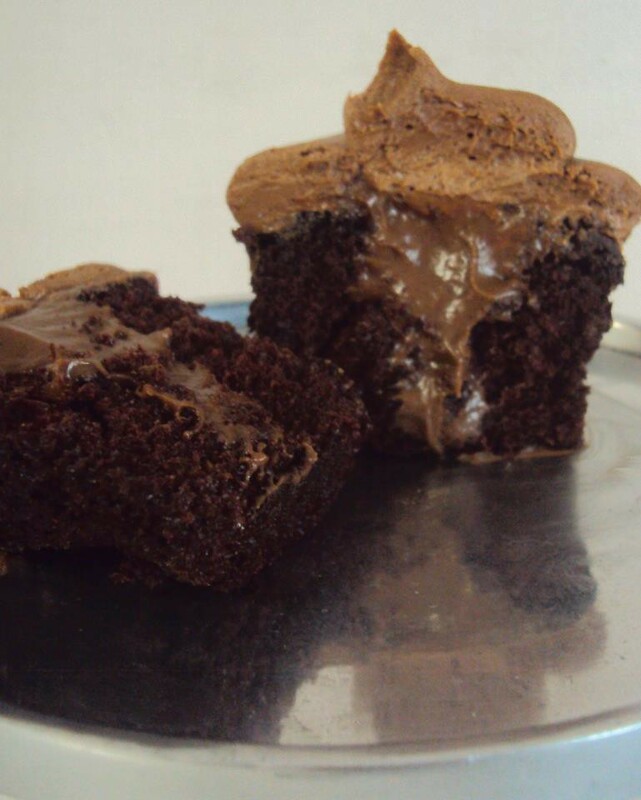 One box for the cake, one box for the frosting! 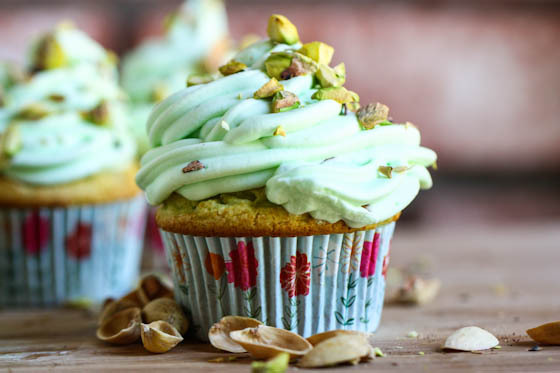 You can find the recipe here but be forewarned, this recipe is for pistachio lovers only! 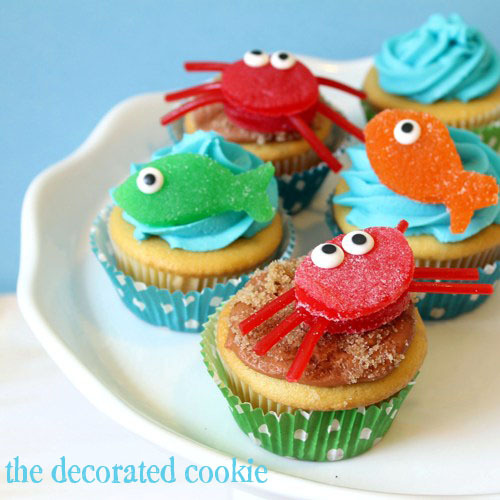 These sweet and cute crab and fish edible gumdrop candy cupcake toppers by blogger The Decorated Cookie say "summer" to me! Visit The Decorated Cookie to find out how to make them using gumdrops, Twizzlers Pull n’ Peel licorice and some decorating magic. 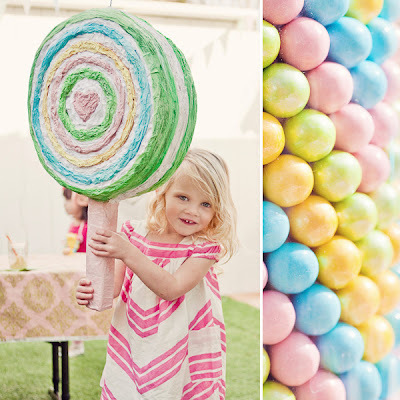 LOVE LOVE LOVE.....these party decorations! How could anything go wrong with a party like this one? Stop by Hostess with the Mostess to read all about the details!! 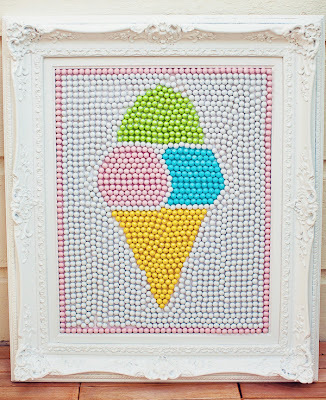 Candy Art....this is so adorable!